For the first time on Broadway, stars of stage and screen will create and perform four brand new short musicals in a single day! Join us on October 29th, when an all-star lineup from Broadway, film and TV join with writers, composers, directors, musical directors, choreographers and a live band to write, rehearse and perform four new short musicals over the course of a single day! SCHEDULED TO APPEAR: Erin Clemons, Corey Cott, Jackie Cruz, Merle Dandridge, Lea DeLaria, Emily Estefan, Joel Marsh Garland, Savion Glover, Jessica Hecht, Jasmine Cephas Jones, Norm Lewis, Jose Llana, John Mulaney, Patti Murin, Bebe Neuwirth, Jordan Roth, Jeremy Shamos, Will Swenson and Donald Webber Jr.. MUSICIANS: Bandleader Zac Zinger and a live band! This event celebrates The Lillys, whose work supports women in theater and promotes gender and racial parity. On Monday, October 29, on a first-come, first-served basis, a limited number of mobile Rush tickets will be made available at 10:00am. To unlock this feature, "The 24 Hour Musicals" simply requests that you help spread the word on social media through our app. Company may offer programs whereby the Company would make available certain features of the Services when you share information about the Services through an SNS or click on the “Unlock without sharing” button in the Application. 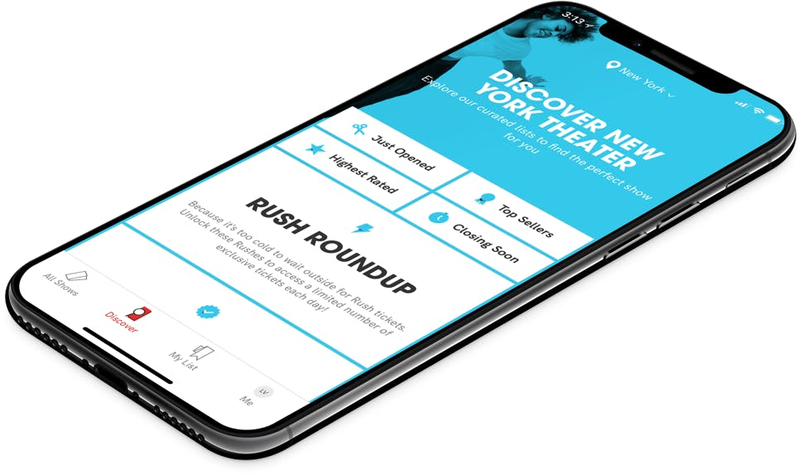 When you are considering purchasing a ticket for a specific show or after you purchase a ticket, if you select the “Share” button in the Application, Company will make available to you a personalized link to a Digital Property with text stating, for example, “Check out The 24 Hour Musicals on Broadway on TodayTix! I’m thinking of going…” or something similar, which you may choose to share with your friends via SNS. Once you have shared the personalized link through an SNS using the Application or selected the “Unlock without sharing” button in the Application, Company will make available to you the RUSH feature, which will provide you with otherwise unavailable offers for tickets to live events occurring in the next week. The opportunity to take advantage of these offers is only available to users who share a personalized link to an SNS through the Application or select the “Unlock without sharing” button in the Application.